Born February 9, 1974, in Phoenix, Arizona, Amber Valletta grew up in Tulsa, Oklahoma, where she graduated from high school. At the age of fifteen, Valletta’s mother signed her to the model school under the agency of Linda Lyman. She went to Milan, where she found her first job in Italian Vogue. After that, the cover for the French Elle, taken by photographer Hans Fuhrer, followed. The peak of popularity of Amber Valletta was in the 1990s. Having began her modeling career in Milan, the beautiful girl quickly gained supermodel status. She starred in the advertising campaigns of Louis Vuitton, Calvin Klein, DKNY, Versace and other well-known brands. Besides, has repeatedly appeared on the covers of ELLE, Vogue, Harper’s Bazaar, Marie Claire, Woman, and Cosmopolitan. They talked about her, wrote about her, and she was invited to act in films. Very soon Amber took the top spot in the rankings alongside such successful supermodels as Claudia Schiffer and Cindy Crawford, Kate Moss and Shalom Harlow. In 1996, the model became the face of the brand Elizabeth Arden around the world. Born October 29, 1944 in Filipovice, Magdalena Zawadzka – Polish actress of theater and cinema, Honored Worker of Culture of Poland (1979). She made her debut on the screen at the age of 18 in the film “Meeting in the Tale” (1962, directed by Jan Rubkovsky). 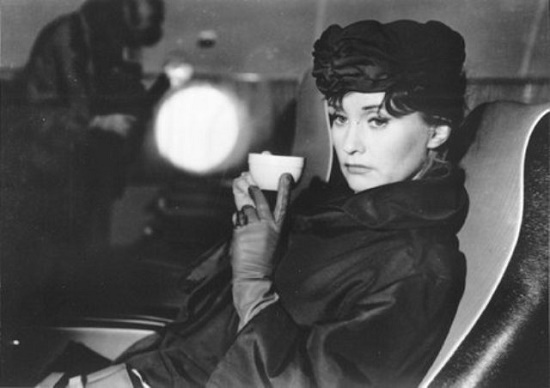 Actress of the Warsaw theaters, she graduated from the Higher Theater School in Warsaw (1966). 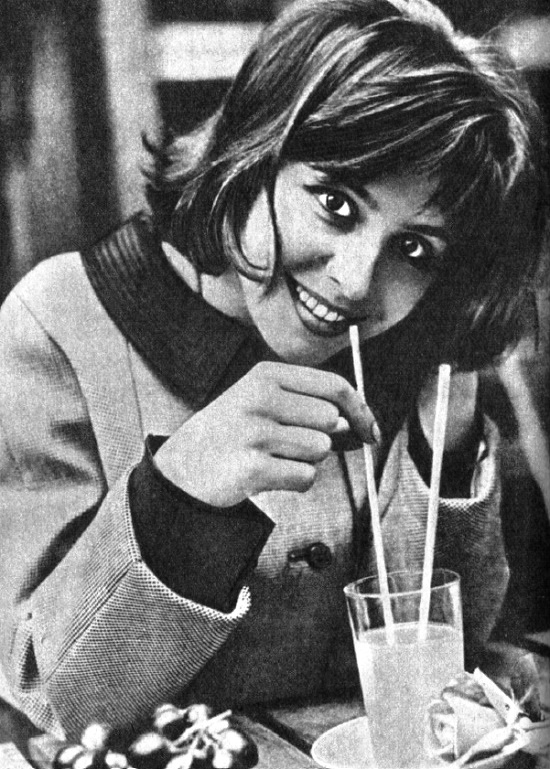 She gained popularity after performing the main roles in the film “Pan Volodyevsky” (Basia, the Golden Clone Award, 1969) and the television series “The Adventures of Pan Michal” (both 1969). Since 1973 she was the wife of the actor Gustav Holobek (1923-2008). Jan Holoubek (p.1978) is the son of an actress. Meanwhile, all began in 1962, when the seventeen-year-old Magda passed the exams to the theater school. She caught the eye of director Ian Rybkovsky, who was looking for his next film “Meeting in the Tale”. And for the film he needed just such a mischievous, independent, today’s girl. However, not one Rybkovsky was looking for such a type. Polish cinema was looking for representatives and a new generation, free from the complexes of the military era, born and formed in the new Poland. The roles played by the young Czechoslovak actress Emilia Vasharyova are not all of equal importance in their artistic significance. But almost always, along with the appearance of a young actress, an atmosphere of bright hopes, a simple-hearted aspiration to happiness, to purity and truth arises on the screen. And almost every heroine of hers demonstrates the nature of a noble, deep, capable of strong and vivid feelings. True, there were times when the emotionality, quivering, passion, characteristic of the actress, did not receive enough dramatic material for the embodiment on the screen. Sometimes only asked to demonstrate the originality of her talent, the very presence in the frame of Vasharyova would help to make the whole film “romantic”. This happened, for example, in the film “Master Executioner”, where she played the role of being just a beautiful, but completely application who does not have specific actions and does not carry any thoughts. But the apparent failure of this role did not break the young actress, and could not dramatically affect her fate. After all, her acting “baggage” already had interesting theatrical roles and several curious roles played in the movies. Just five years ago only fans of “Keeping Up with the Kardashians” knew this girl, but now only lazy doesn’t speak about her. Kendall Jenner has become #1 most followed model on Facebook and Instagram, and second most Googled model in the world, as well as #2 most followed model on Twitter. Also, she entered Top 50 list on Models.com. Besides, according to the same influential portal she became the model of the year in 2016 (people’s choice). Next, in September 2017, the fashion magazine Daily Front Row called Kendall “the fashion icon of the decade.” And in November, she became the highest paid model in the world, according to Forbes magazine (her income amounted to 22 million dollars). Meanwhile, it was Karl Lagerfeld, thanks to whom 19-year-old Kendall appeared in the fashion firmament. In particular, she participated in the Chanel show four times (in 2014), including a spectacular show Metiers d’Art in Salzburg. According to mass media, Kendall has become the new darling of Karl Lagerfeld and Kara Delevin should seriously worry. Time irreparably destroyed her appearance, and she herself didn’t like her reflection in the mirror. She really lived the life of another woman, not the one who created Besame Mucho. And that Consuelita, like admirers affectionately called her at the height of glory, long ago died. Buried in the soul of this unrecognizable lady with a nervous tic and swollen eyes – a consequence of kidney disease. Velazquez was only 20 years old when, in 1944, she first came to Los Angeles, and not just to Los Angeles – Hollywood. The timid Mexican Consuelo, accompanied by her mother, who did not take her eyes off her, then still did not believe that she was a celebrity! Of course, she dreamed of becoming famous, but not for one song! 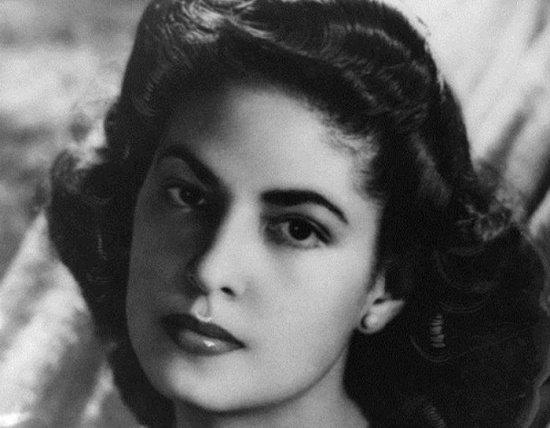 In particular, she wanted to become a great classical pianist, because she graduated from the National Conservatory in Mexico City and already performed with concerts at the Palace of Fine Arts and on the radio. “I have never met a woman more beautiful than her” – said almost every man who had the happiness to be familiar with her. 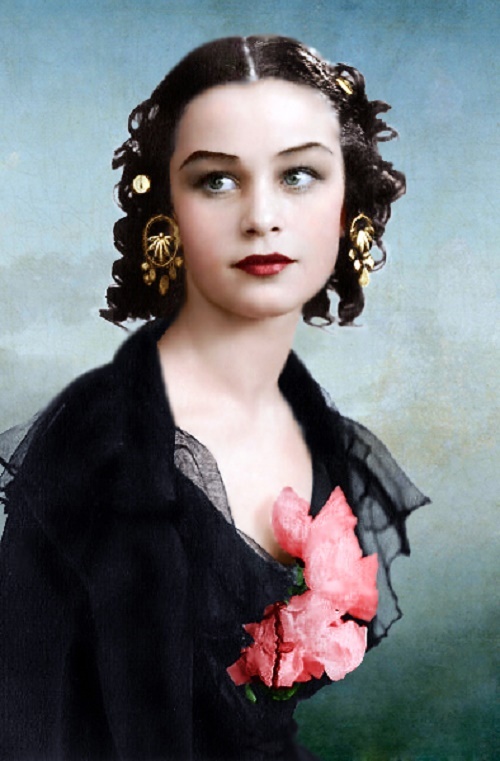 Soviet Russian ballerina and film actress Olga Zabotkina was a personification of rare grace, beauty and femininity. She had a gravity field with such force that it was useless to resist. One look – and you fall into the abyss! She made thousands of men to fall in love with her, but never allowed to approach close to her. Everyone was surprised when she married a poet-humorist Alexander Ivanov (1936-1996), for he was not a man of her dreams. Anyway, they were fond of each other. Meanwhile, the life of Olga was not easy. She lost her fortune to become a mother because of the hard life circumstances. It would seem that this divinely beautiful woman should shine diamond and revel in happiness. But God gave her a lot of tests, starting with the siege childhood and ending with a severe form of the disease, which ruined her. She did not like the publicity, although for the actress and ballerina – is nonsense. However, the last few years she was very ill, almost did not come out, and invited to her house no one. “I do not want you to see me like this”, – she answered on the phone.